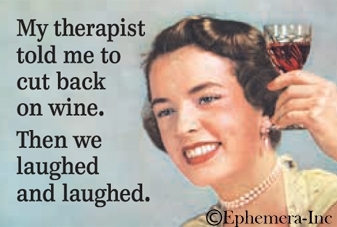 My therapist told me to cut back on wine. Then we laughed and laughed. I'm so old I can remember going through a whole day without taking a picture of anything. Trump the Troll If the plan is "Drink beer now, figure out life later." then yes, everything is going according to plan. Sometimes I think I'm Too Picky... then I watch my Dog look for a place to poop.